Toshiba has teamed up with NASA to promote the mission to Mars. 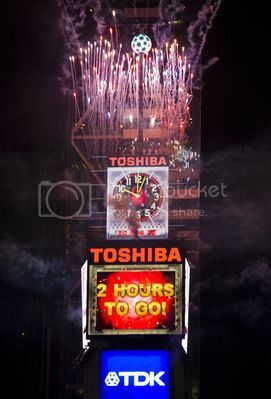 In an unprecedented move, the Toshiba Vision screen in New York City's Times Square will show live coverage of Curiosity, NASA's most advanced planetary rover, as it lands on the Martian surface at 1:31 a.m. EDT August 6. The Toshiba Vision screen will broadcast NASA TV coverage, originating from NASA's Jet Propoulsion Lab, beginning at 11:30 p.m. EDT August 5 and continuing through 4 a.m. EDT the next day. The rover is on a precise course for a landing beside a Martian mountain to begin 2 years of unprecedented scientific detective work. "In the city that never sleeps, the historic Times Square will be the place for New Yorkers to participate in this historic landing," said John Grunsfeld, associate administrator for NASA's Science Mission Directorate. "When you think of all the big news events in history, you think of Times Square, and I can think of no better venue to celebrate this news-making event on Mars." Getting Curiosity to the surface of Mars will not be easy. During a critical period lasting only about 7 minutes, the MSL spacecraft carrying Curiosity must slow down from about 13,200 mph (about 5,900 meters per second) to allow the rover to land on the surface at about 1.7 mph (three-fourths of a meter per second). NASA says for the landing to succeed, hundreds of events will need to go right, many with split-second timing. The Toshiba Vision dual LED screens will take viewers inside NASA's Mission Control, allowing them to watch receipt of the first signal from Mars following a successful landing. "We're pleased the Toshiba Vision screens will offer a unique view of this great scientific achievement, the landing of the rover Curiosity on Mars," says Eddie Temistokle, senior manager of corporate communications and corporate social responsibility for Toshiba America Inc.